Accessorizing your new Motorola Droid Bionic is essential if you plan to keep it protected, maintain suffient battery life througout the day, and truely take advantage of the user experience that the Droid Bionic has to offer. What Droid Bionic accessories are in store for you? Read on for more details on what's available and how to choose the best option for you. When it comes to cases for the Motorola Droid Bionic you're going to want to be sure you choose the right style that suits you and your device the best. Droid Bionic cases vary from hard cases, skin cases, holsters and even waterproof cases. The battery life of the Motorola Droid Bionic is crucial to maintain so what better way to stay charged up than with spare batteries for the Droid Bionic. For the power users that require more battery life than the average bear, then a Motorola Droid Bionic extended battery is your best bet for making it through your day. You can never go wrong having additional chargers for the Droid Bionic handy. Whether you're traveling abroad, working at the office or driving to your weekend getaway--carry an extra wall charger, car charger or USB cable to ensure you don't run out of juice. So you haven't gone completely wireless with your Bionic yet? Get started by checking out bluetooth for the Motorola Droid Bionic. There's a huge selection of Bionic headsets, speakerphones and stereo headphones that allow you to free your hands to manage your calls, exercise or keep your hands on the wheel without having to fumble with your Droid Bionic. 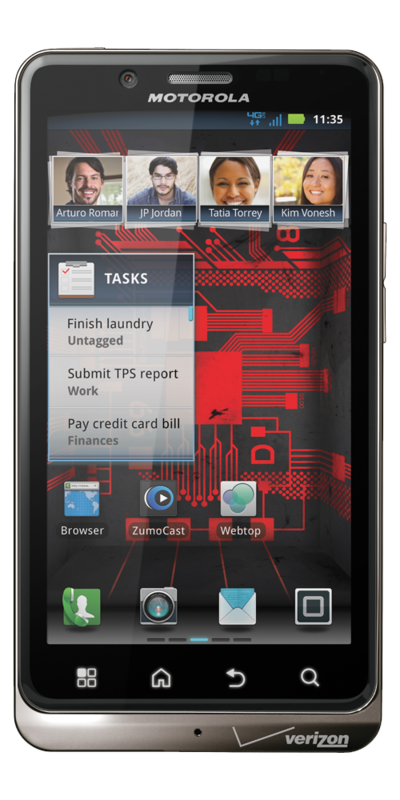 Go the extra mile and protect the screen of your device by applying screen protectors for the Motorola Droid Bionic. Not only are they reuseable, they're thin enough to hardly notice that it's on your Bionic. Boost your Android to the next level by using memory cards for the Motorola Droid Bionic. Available in many different sizes and you can store your apps, documents and media all on the memory card, freeing up space on your Droid Bionic. If you'd like to learn more about accessories for the Motorola Droid Bionic, we've got handy guides available to help you find what's best for you below. The Android Central Store is your one-stop shop for all Android accessories. We have the largest and widest selection of items and you can be assured that what you're getting will work with your Motorola Droid Bionic, be it a battery, charger, case, screen protector, headset, or any of the other hundreds of items in the store.